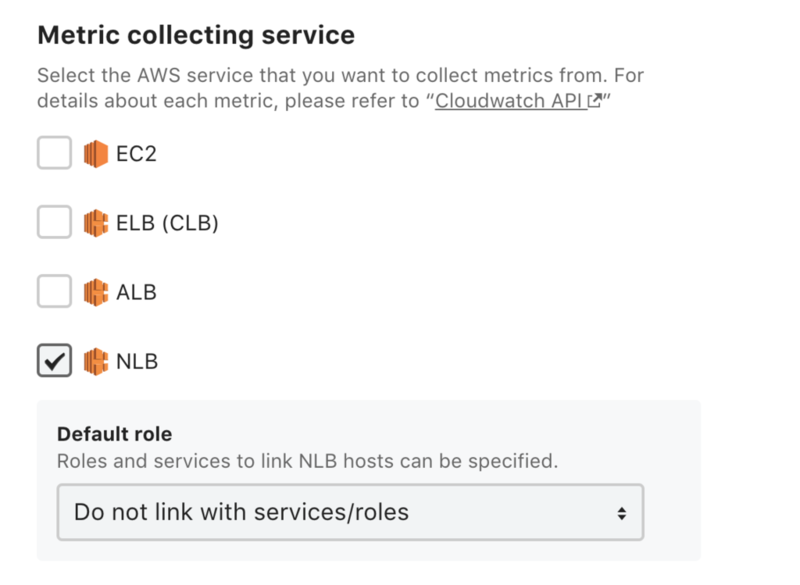 AWS Integration now supports NLB etc. As announced on this blog the other day, the im.kayac.com service, one of Mackerel’s integratable notification partners, is ending on October 31st, 2017. Accompanying this, the im.kayac feature will no longer be available as a Mackerel notification destination. If this affects you, check out the following blog entry for more details. As previously announced, Mackerel extended the judgment interval for connectivity monitoring as a countermeasure in response to the .io domain malfunction and has now been restored to its’ original interval on Tuesday, October 17th as scheduled. Again, please update your agent to minimize the impact of the possible future .io domain failure. Check out last week’s entry for the content of the agent updates. The recently released AWS Network Load Balancer (NLB) is now also supported in AWS Integration. Check out the following help page for more information on how to use it. 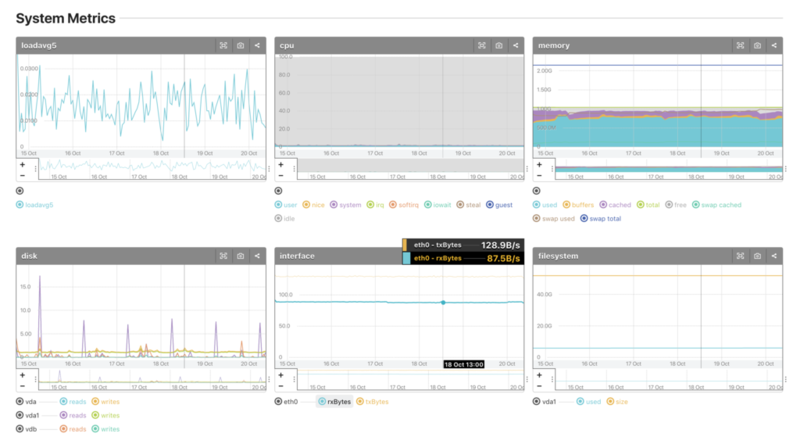 The guide which is displayed when hovering over a graph in the host detail screen, service details screen, etc. is now displayed in all other graphs within the same screen. We think this will be handy for tasks such as investigating server resources. Thank you to everyone who reported issues and contributed! The theme of the next “Supporterz Workshop” organized by Supporterz, Inc. is "New to Mackerel, from a Hatena engineer" and we are now currently accepting applications. id:papix, the presenter for this event is an Hatena Web application engineer and also the founder of Mackerel UG. This workshop is geared toward students wanting to become engineers (any grade level is okay) and young professionals who have recently entered the engineering field (2010 graduates and up). Right now we still have a lot of spots left, but applicants will be accepted on a first-come-first-served basis. If this event sounds interesting to you, by all means, come and join us!